Has pollution and increased chemical exposure taken a toll on your long lustrous locks? 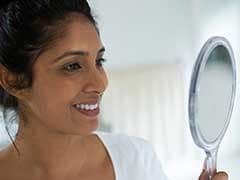 You've tried many shampoos and hair care products, but they are not being able to repair the damage and the number of visits to the salon are proving to be tight on the pocket. Well then, it is time to go back to the golden advice your mothers and grandmothers gave you and you've been avoiding all along - 'Oil you hair and oil them regularly!'. Yes, what you think is beyond repair, may just need a good oil massage. Some of the store-bought oils may be blended with mineral oils, and chemical preservatives which may end up doing more harm than good. Try making these hair oils at home with all natural ingredients for common hair problems, like damaged hair, hair fall or gray hair. Using amla for beautiful hair is our traditional ancient secret. Abundantly rich in Vitamin C, amla oil conditions your hair, minimizes hair loss and graying. To make it at home, mix 120 grams of amla powder, 1 litre water and 250 ml of coconut oil or sesame oil. How to make the oil: Take a pan and combine about 100 grams of amla powder with water. Bring it to boil and simmer until half the liquid is evaporated. Strain this amla concentrate in a container. Keep it aside. Now, take another pan, and put coconut oil and the remaining amla powder (20 grams), and the amla concentrate that you have kept aside. Bring it to boil, reduce the flame and let the mixture simmer very slowly until all the water evaporates. After this is done, you will see the oil will appear yellow and transparent. 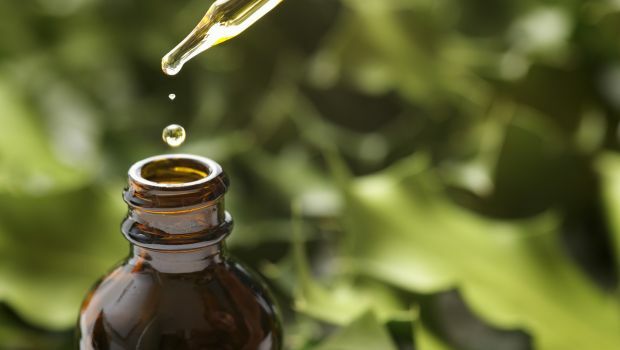 Once it’s done, strain the residual oil immediately and store in a container or bottle away from direct sunlight. Here’s another significant Ayurvedic remedy to rescue your hair. Known as the ‘King of herbs’, Bhringraj packs many hair benefits. Dermatologist Dr. Deepali Bhardwaj explains that bhringraj oil has a high specific gravity which makes it dense. This simply means that it can easily penetrate the scalp and helps in treating dry scalp. For dry hair and dandruff problems, regular massaging, helps in deeper absorption and in activating the sebaceous glands. In his book, 'Ayurvedic Home Remedies', Dr. Vasant Lad suggests that bhringraj oil can help in treating baldness. Massaging the oil on your scalp at bedtime helps in improving the blood circulation at the root of the hair bringing more nutrients to support hair growth. 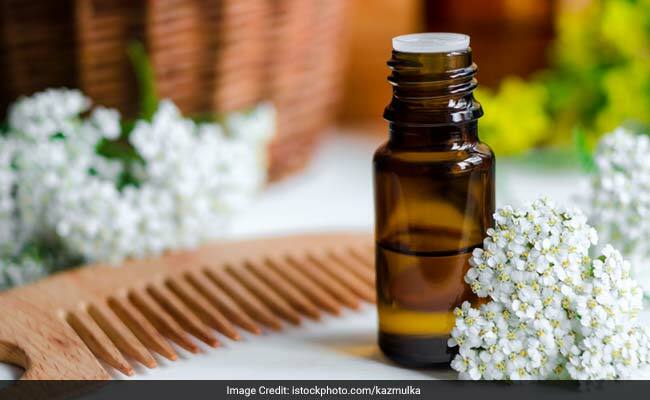 To make this oil, you would need a handful of bhringraj leaves or 3 teaspoons of bhringraj powder, one cup of coconut oil and a teaspoon of fenugreek seeds. How to make the oil: Chop the leaves. Heat a cup of coconut oil, and add the chopped leaves or the powder into the oil. Heat the mixture for about five minutes. Add the fenugreek seeds. Turn off the heat and allow it to cool. Strain the mixture and store it in the container. Apply the oil and massage gently for a nourished scalp. If gray hair is your problem, then curry leaves are great for you. Curry leaves help restore melanin, the pigment that gives your hair its natural black colour. 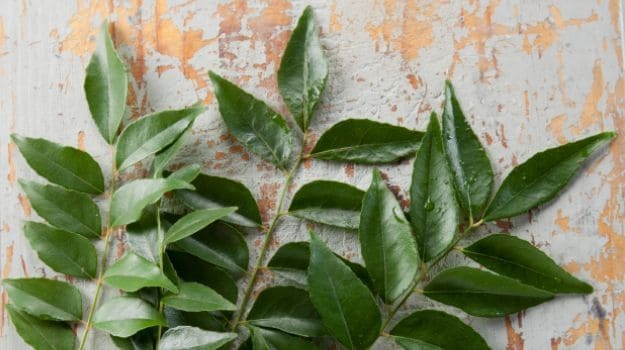 Rich in vitamin B, curry leaves also boost hair growth. Coconut oil, on the other hand, makes your hair strong. For this you need, a handful of curry leaves and about 3 to 4 tablespoons of coconut oil (preferably cold pressed). How to make the oil: Place the curry leaves and coconut oil in a saucepan and heat (do not heat the oil past 350 degrees Fahrenheit), until a black residue is formed. Then, turn off the flame. Let the oil cool. Apply this cool oil on your hair and scalp and massage gently. Leave the oil for about an hour, and then rinse it off with your regular shampoo and cold water. For best results, apply the oil at least twice a week. Castor oil contains ricinoleic acid and omega- 6 essential fatty acids which help in boosting blood circulation to the scalp and thus, increasing the hair growth. It also nourishes the scalp and strengthens the roots due to its high protein content. 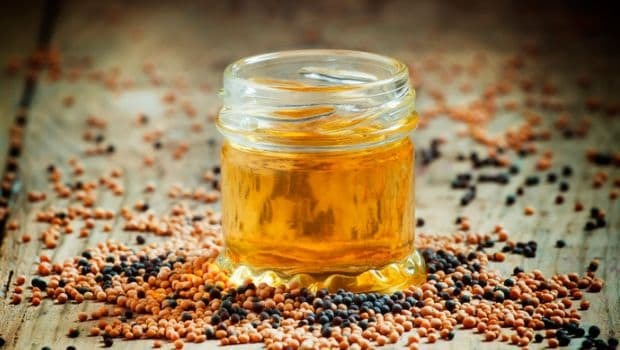 Mustard oil, on the other hand, is replete with zinc, calcium, iron, magnesium, and selenium. These minerals help keeping your scalp nourished. You would need 1 tablespoon of castor oil and 2 tablespoons of mustard oil. How to make the oil: Make the oil blend by taking the oils in a saucepan, and heat them for a few seconds. Apply this warm concoction to your scalp and hair evenly. Massage gently for ten minutes and let the oil sit for about an hour. Wash off your hair with your regular shampoo and water, and then condition. Make sure you don’t overheat the oil, this would not only burn the oil, but also make you lose out on the essential nutrients. Olive is not just good for your health but also for your hair. Black seed oil is an exceptional remedy for hair loss. This oil blend not only nourishes your scalp but also gives you smooth and strong locks. You will need one tablespoon of olive oil and one tablespoon of black seed oil. 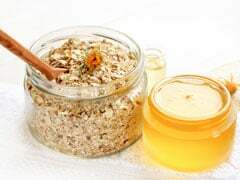 How to make the oil: Mix both the oils in a bowl and apply the blend on your hair and scalp and massage gently. Leave it on for an hour and rinse with water and shampoo. 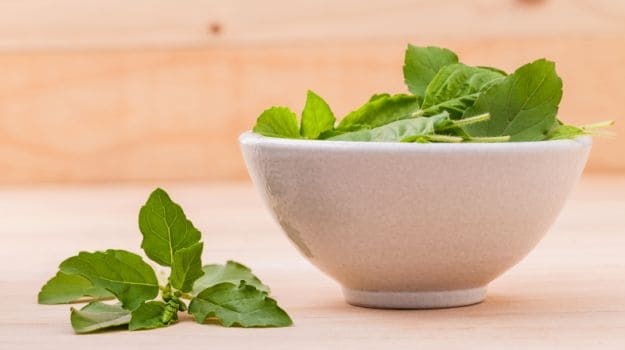 Tulsi can work wonders for your damaged scalp, and dandruff issues. Tulsi helps stimulate blood circulation to your scalp and keeps your scalp cool while reducing itchiness and dandruff. You would need 2 to 3 bunches of Tulsi leaves to make a paste (you can also use Tulsi powder instead), half a cup of coconut oil and 3 tablespoons of fenugreek seeds. How to make the oil: Grind the tulsi leaves into a thick paste. Transfer this paste to a saucepan and add coconut oil to the paste. Heat the mixture on low heat. Add fenugreek seeds. Turn off the heat after 5 minutes. Let the mixture cool, strain the oil and store in a container. Apply this warm oil to your scalp and hair. Leave it on for about half an hour and then rinse. Oil your hair at least twice a week to get rid of dandruff and dry hair. 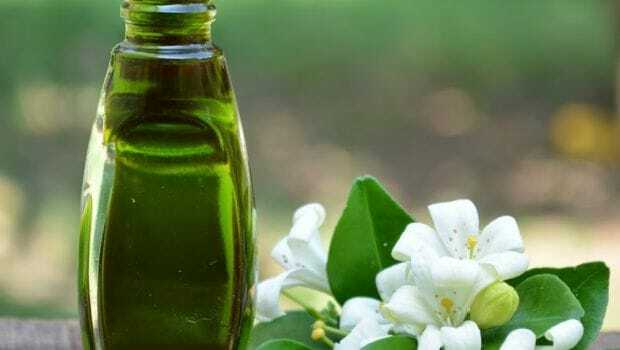 Oil your hair regularly with these natural homemade oil and flaunt you locks in style.